One of the candidates for California’s 52nd Congressional District is Omar Qudrat. 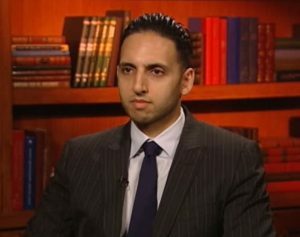 Qudrat is a muslim running as a Republican who states he is against Islamic law (sharia). But Qudrat also says the compatibility of American “values and principles” and Islam are so seamless they are indistinguishable. 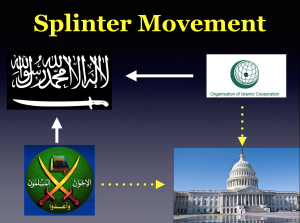 It is important to note the various strategic entities in the global Islamic Movement often appear to publicly be in conflict with each other – like when Hamas doing business as the Council on American Islamic Relations (CAIR) publicly condemns ISIS or an individual jihadi attack (San Bernadino jihadi operation). CAIR does this so they can draw closer to local, state, and federal officials to feign concern and a desire to help. Yet, since CAIR is a Hamas (Terrorist) group, we know their real objective is to subvert in furtherance of establishing an Islamic State under sharia. This kind of tactic is called a Splinter Operation. Two sides of the same enemy feign conflict to get us to draw closer to the “nicer” of the two – in this example, the suit-wearing jihadis at CAIR. Qudrat claims he is against Islamic law (sharia), yet claims Islam seamlessly flows into American principles, which is demonstrably false, since Islam and sharia cannot be separated. While it is possible Qudrat is completely ignorant of Islamic doctrine/sharia, it is also true that every prominent muslim Republicans have let in the front door in the last 20 years has proven to be a jihadi. Is Omar Qudrat the first exception? Since moslems can deny **ANYTHING!! ** – I don’t trust him. and why you ask? Because if a person believes in the koran, then they are a problem. Sharia is the koran and hadith. And this thing called ‘muruna’ means a moslem can deny ANYTHING! If a moslem doesn’t believe in only parts of the koran then what parts are they ok with? And like I wrote – I don’t believe anyone who is told to lie to advance their religion (jihad by the word/pen). Muruna and it permits the lifting of all prohibitions in Islam if the objective is to further the cause of Islam itself. It is far worse than taqiyya, since it sanctions all prohibitions that block moslem interests, even blasphemous ones. Taqqiya. Plain and simple. Like everything liberal, communistic and now islamic, the strategy of bit by bit is clearly evident. Anyone with common sense knows sharia and true western values are anything but compatible. Is this guy practicing Takia, “ lying to infadels “to penetrate the Republican Party. John Guandolo’s question is rhetorical. If Omar is a pious and observant Muslim, it is inconceivable and highly unlikely he would ever be and exception to historical Muslim deception. It is all part and parcel of the Islamic plan(Muslim brotherhood) to subvert and and ultimately destroy our nation and Western civilization from within. Muslims don’t assimilate. They never will if they continue to believe and practice their barbaric beliefs. Secular Muslims don’t count for they are considered apostates by their coreligionists. I have a question. Would we give deference to an ideology associated with Ghengis Khan or Attila the Hun if they had originated a cult practicing such uncivilized crudeness? What reason do you believe non Muslims are not leaders of Islamic States? They have been subjugated to Sharia. The answer is significant meaning until the Western mindset is fully in agreement with the history of Allah/Muhammad’s teachings for the past 14 centuries, stealth civilization jihad brings peace to Islam. The Religion of Peace defined is the goal of Allah/Muhammad making the world subject to Sharia. When your government allows Islam in to participate in your culture your government has been infected with deceit, one that only serves Allah/Muhammad. No need to seek the advice of so called experts on Islam once your mindset reflects this reality. Muslims only serve Allah/Muhammad, embrace this reality and peace comes to the Western world. ISLAM PERMITS MUSLIMS TO LIE. Since said political candidate begins his bogus refutation of Sharia with the limiting-qualifier “radical”, he is obviously using a garden-variety semantic con on potential voters who he has all ready surmised are contextually somnambulant, uninformed “Infidels” who constitute a winning majority in California’s 52nd Congressional District elections; I.e., essentially the San Diego area of said State. Thus, what Omar Qudrat more likely than not hopes to achieve if elected to Congress, is U.S. codified implementation of his own subversive version of how Islam’s jihadi gangsters might be further abetted by treason in their relentless Koranic mandated war* on non-Muslim humanity. Which in actual fact, and contrary to any lullaby-like political thesis, would relegate every non-Muslim on the face of the earth either to the draconian hell known as Sharia or certain death at the hands of said killers — which. hello!, would obviously include inhabitants of California’s 52nd Congressional District. Words matter. And the ones sharia-adherent Muslims purposely use to justify (thus hide) their nefarious plan of global conquest imply far different meaning than when being interpreted by an English language semanticist. Furthermore, “Evil hides in the mind, not on the face”; so said “Voltaire”. *For a nominal handling & postage fee, Arabic-to-English translated copies of Islam’s declaration of war on the United States, the original of which was seized in accordance with a federal search warrant from a subterranean basement in Annandale, Virginia by Special Agents of the FBI in 2004, are available from http://securefreedom.org; request: GOVERNMENT EXHIBIT 003-0085 3:04-CR-240-G U.S. v, HLF, et al. be stupid, weak, gullible, and to naïve when it comes to these muslims the people are going to welcome them all in just like Briton did you watch. A muslim who reads the Quran, knows sharia law. A infidel who knows Islam knows he is fibbing to gain office otherwise known as a rational conclusion. Actually any one who works to change our Constitutional government by deception has another name. A government who does not make it mandatory to know the enemy warfare doctrine will be subverted willingly. Money won’t be spared by the MB and Islamic Republics to bring down our government with erudite language,and pious behavior to accomplish a goal by deception. So in this case money will become the root of evil. In my opinion backed up by Quran and sharia law. British Anti-Sharia activist Tommy Robinson was arrested outside Leeds Crown Court (Yorkshire, UK) Friday, May 25th for breaching the peace, although he was quietly speaking into his cell phone, and hardly anyone else was around. He was then marched before a judge, sentenced to 13 months and driven to an unknown prison. This is an unprecedented state reaction to a journalist. I urge all of your readers to please sign the Free Tommy petition addressed to UK Prime Minister Theresa May. British prisons have powerful Muslim gangs making Robinson’s incarceration exceedingly perilous to his personal safety. This is a turning point in the UK’s Sharia-compliance. Robinson’s Change.org petition has swelled to nearly 500,000 signees in just 4 days. He needs a million by weekend. His life depend on how the world accepts or refused to accept this profound sinister change in British justice. UTT stands with Tommy Robinson and the principle of freedom of speech and expression despite the UK’s continued decisions to enslave the British people, deny justice under law, and promote sharia supremacism over human dignity and human rights. The British government is erasing 800 years of legal rights for the common man. Why it’s doing this is still a mystery to me but I can plainly see it’s trying to make us fearful, make us comply. Countless times Tommy Robinson has been arrested, beaten, incarcerated, ridiculed and dismissed as an uneducated racist thug. They’re wrong. He’s a hero. It’s 9:45 Tuesday evening May 29, 2018 and there are 496,000+ signers on the petition to free Tommy. How many people could garner that support in 4 days!! Understanding the Threat is making a difference, you are a vital part of our push back, I have learned so much from you about our enemy from without, and our enemy from within. I believe, hope and pray this worldwide support for one of our bravest warriors is the beginning of a turning tide. God bless you, and if anyone hasn’t signed Tommy’s petition, please do so now.